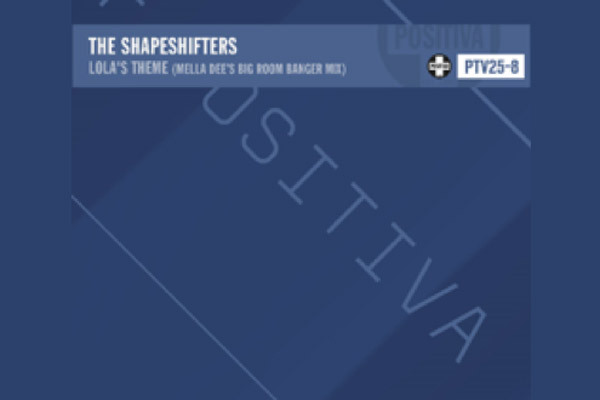 MUMBAI: Positiva Records continue their 25th-anniversary celebrations with London based DJ and producer Mella Dee delivering his rework of The Shapeshifters’ classic hit ‘Lola’s Theme. With house duo Max Reich and Simon Marlin (aka The Shapshifters) releasing the chart-topping single on Positiva 15 years ago, the record became one of the imprint’s most successful of all time reaching #1 in the UK Official Charts. Cementing his reputation as a producer keen to experiment with a wide range of sounds, London based DJ Mella Dee (aka Ryan Aitchison) creates a unique blend of driving techno by fusing elements of house with essences of the dance music spectrum. The remix follows his previous success with the infectious Techno Disco Tool which has amassed over five million Spotify streams and gained support from key tastemakers such as Pete Tong, The Black Madonna, Danny Howard and Annie Mac. Mella Dee enjoyed a meteoric rise through the course of last year where he was named as one of Mixmag’s Artists of the Year and made his BBC Radio 1 Essential Mix debut. He recently kicked off 2019 with two NYD performances at both Bristol’s Motion venue and The Warehouse Project in Manchester. He will also be playing a string of all night long dates across the UK and Europe, with sold out shows across Sheffield, Glasgow, Edinburgh and Leeds. With Mella Dee’s remix following a stellar 2018 for Positiva celebrating their 25th anniversary, the imprint has showcased a series of one-off parties and special releases throughout the year including reworks of several classics from the likes of Eats Everything, Yotto, Mele, Shadow Child, and many more. With Mella Dee’s Lola’s Theme rework set to drop on Friday 8th February, a limited edition vinyl will also include the original, and a rare Eric Prydz remix from 2004. MUMBAI: Celebrating 25 years at the summit of the dance music industry, iconic label Positiva Records is proud to unveil the final release of the Positiva 25 series, EJECA’s extended ‘Got Myself Together’ rework. MUMBAI: Richard Judge is no stranger to success. Perhaps most known for the voice on Robin Schulz’s smash single Show Me Love’, the British born DJ/Producer has further triumphs to his name having accumulated an impressive discography of singles in recent years. MUMBAI: French producer Michael Calfan renowned for his distinctive sound and intricate house productions, has announced the release of his forthcoming dancefloor hit, My Place ft. Ebenezer. MUMBAI: Iconic DJ and producer Paul Woolford has teamed up with singer/songwriter Karen Harding to deliver You Already Know. Consistently pushing boundaries in his music, Dezza delivers twelve brand new exclusives in this highly anticipated body of work.